Forget what you think you know about engagement rings and prepare to be shocked. Those left-handed diamond dazzlers aren’t just for men and women destined for marital vows! Enter the anti-engagement ring. Also worn on the left hand, this ring is all about self-love, empowerment and the proclamation that a partner isn’t needed for an individual to be whole. The anti-engagement ring isn’t the right-hand ring and it isn’t a promise ring. The anti-engagement ring is bolder, and it’s not afraid to dazzle from the assumptive ‘vow’ hand. Celebrities like Lucy Hale have adopted the sparkling declarative statement of independence, and while many women choose to wear their rings on the pinky finger, we think women should wear their rings on whatever finger they choose! 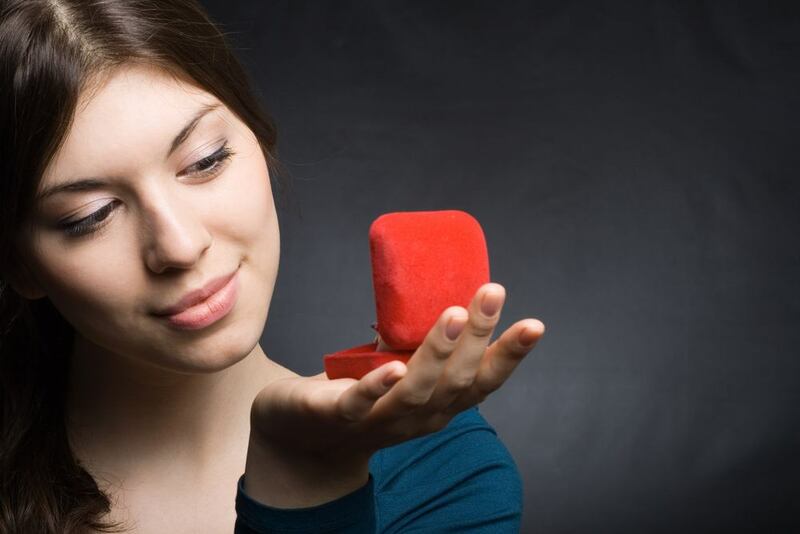 With many people waiting under later in life to settle down and get married, and more women with jobs of high earning potential, it’s not too far off to think that the strong women of today might want to get a stunning ring without having to wait for a man to give it to them. Rethink the former notion that only a future marriage can lead to a big diamond ring. This is all about you… your story, your success and your future. Rock it in style, and wear it big and bold, diminutive and dainty, or chic and colorful. Embrace independence and your own adventure story. Forget the fairy tales…not every woman is looking to be rescued. So are you ready to declare your commitment to YOU with an anti-engagement ring? How about a little design inspiration? Check out these fantastic designs for anti-engagement rings, but remember, choose the ring that suits your style. Your ring answers to and follows no one! Nothing illustrates successful, happy independence like a massive diamond. Celebrate your successes with a simple band topped with a two-carat diamond. Wear it on whichever finger you’d like to, and flash it around proudly. 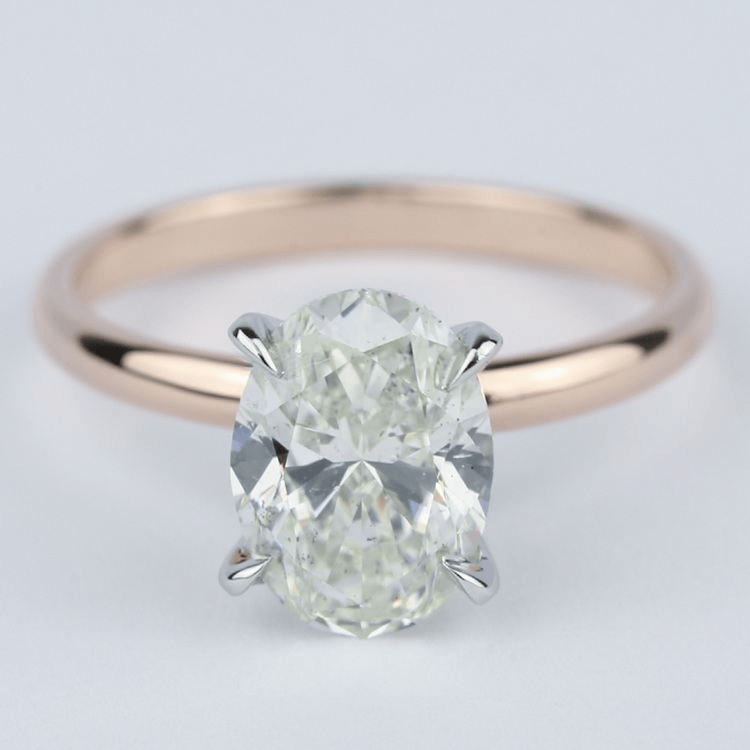 Rose gold highlights the beauty of this stunning two-carat oval solitaire…but you also can choose platinum, white gold, yellow gold or palladium! Want lots of diamonds on that ring? Choose your centerpiece diamond and then surround it with a stunning halo of diamonds. Or surround the diamond with colored gemstones for a pop of color. 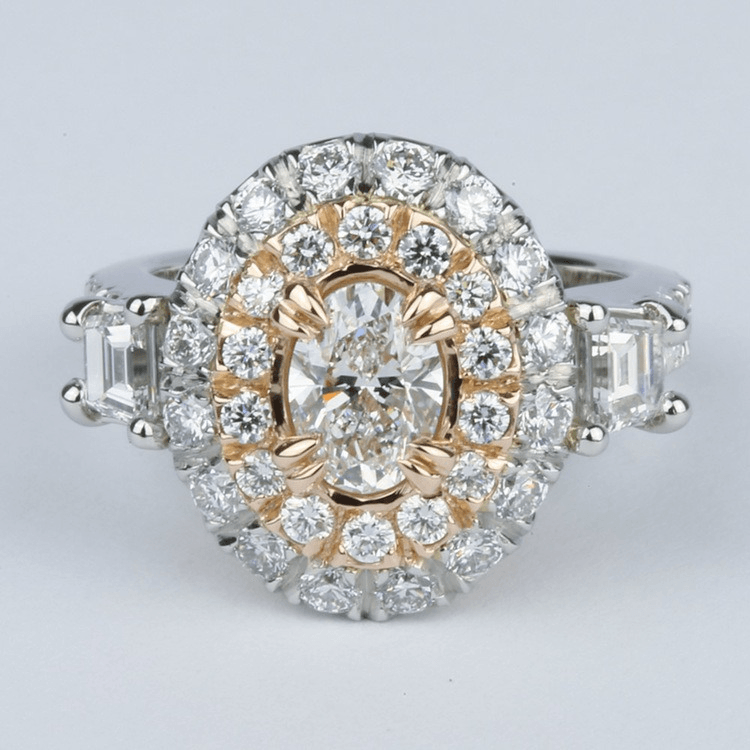 Halos also make a center diamond look even larger on the hand. This ring features two halos of diamonds—one row set in rose gold, the other in platinum—surrounding a nearly three-quarter carat diamond. Diamonds also nestle within the band of the ring for additional fire. Symbolic rings create impact. 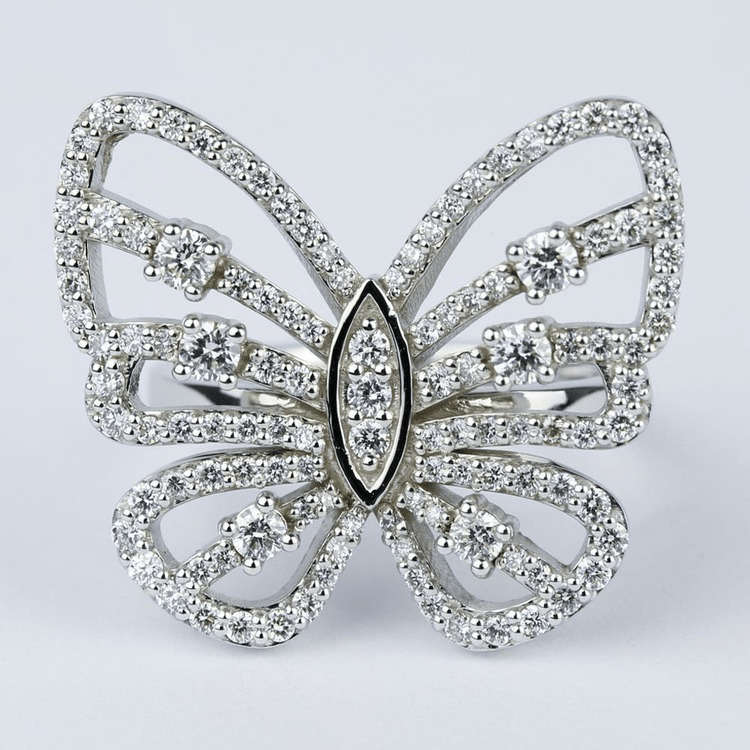 Butterflies symbolize rebirth, and mermaids represent alluring femininity (and sometimes even seduction). Both designs declare personal happiness, strength and self-love. 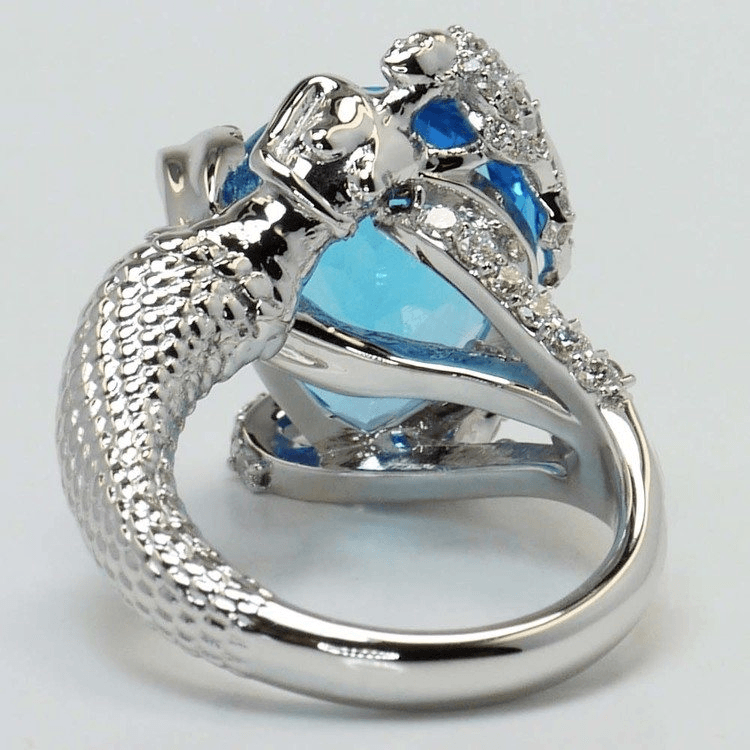 The butterfly ring (pictured above) features white diamonds set in white gold, while this custom mermaid ring features a siren with flowing hair glistening with diamonds and a blue topaz gem to represent the blue water of the ocean. Your personal statement doesn’t have to feature a diamond. 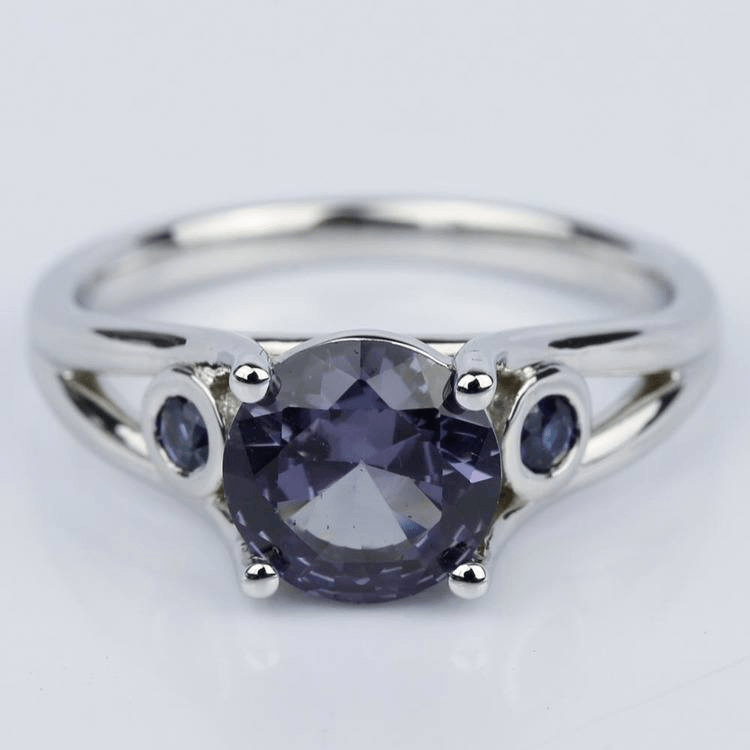 Choose your birthstone or even a gemstone that you love. The beauty of gemstones is that they are usually more affordable than diamonds, so you can splurge on a larger centerpiece stone for the ultimate statement ring. Your style and your story will lead you to the right ring to declare your independence. Write your own happily-ever-after with an anti-engagement ring that captures your beauty, your spirit and your unique and perfect Brilliance.